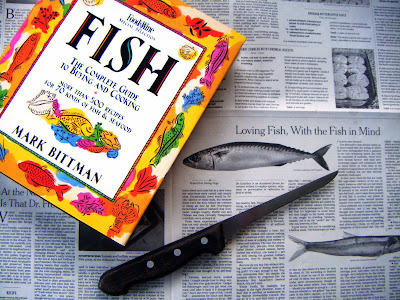 Seafood sustainability: Bittman (and other pros) weigh in. Thoughts? 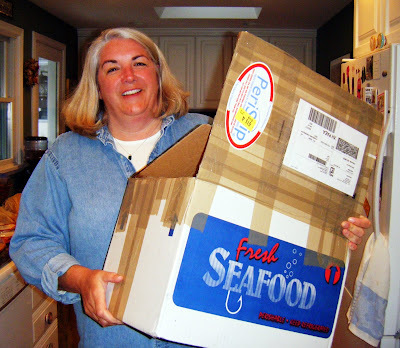 For any environmentally half-conscious eater, purchasing and consuming seafood is likely to provoke the very concerns Bittman so articulately articulates: “How do you buy fish without driving yourself nuts or feeling never-ending guilt?” he asks. A fair question, that. 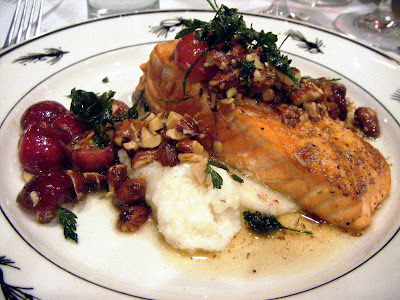 Fish: it’s a wrap — for some seafood, says Bittman, but not others. Yes, we actually have these kind of conversations in our kitchen — when my family and I aren’t out and about at sushi bars, or helping decimate the seafood population at home. . . 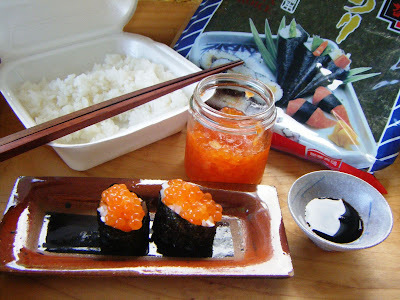 Do-it-yourself sushi, made with salmon roe from Seattle’s sustainable Loki Fish Co.
That said, those kind of conversations are fewer and far between when Mac’s off doing his duty to save the fishes by assisting with the removal and remediation of shipwrecks and their oil from the world’s waterways (as he was busy doing during the better part of the last three months). 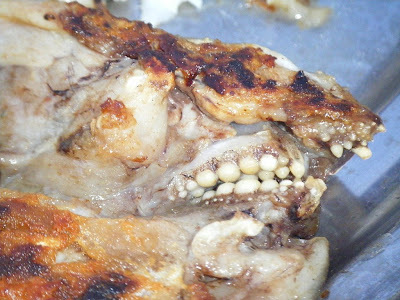 He sunk his teeth into this “delightful” delicacy there, too. Or was it vice versa? I admit, not proudly mind you, that I’m far too flagrant in my non-sustainable seafood consumption. That said, my husband — ever the thoughtful conservationist — has instilled in our son the idea that while we take from our environment, we should also give back. 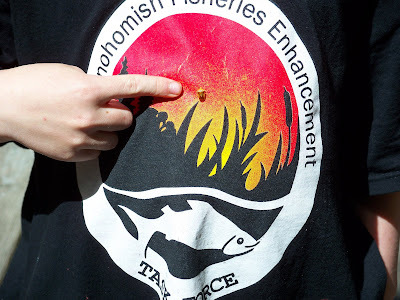 Which is why, several times a year, they head out with the Stilly-Snohomish Fisheries Enhancement Task Force, planting native trees along the shoreline to enhance salmon habitat. Hang out with dad, you get this one. Anyway, waiting for me at the seafood counter night before last was Copper River sockeye ($13.99/lb), fresh halibut ($8.99 with QFC advantage-card — “from Alaska” I was told when I inquired) and Alaskan king salmon ($22.99/lb, origin otherwise unknown). After some quick calculations (not including the one where I decided to go to QFC rather than the across the street to PCC), I bought a pound of halibut fillet and a 6-ounce portion of the sockeye. 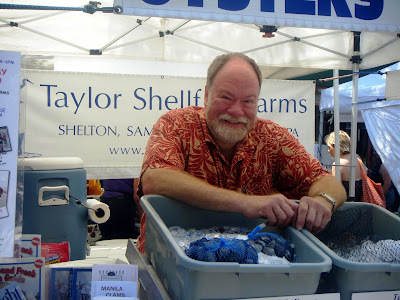 “Oyster Bill” Whitbeck sells his namesake — along with mussels and clams from Taylor Shellfish Farms — to local restaurants and at area farmers markets. Dartmouth associate professor Susanne Freidberg, author of “Fresh: A Perishable History,” suggests “the snob appeal of fresh, wild fish goes back a long ways,” and adds, “historically its prestige has devastated certain species and justified a lot of energy intensive long-distant transport.” Indeed, there’s no denying the “snob appeal” of a fresh Maine lobster. 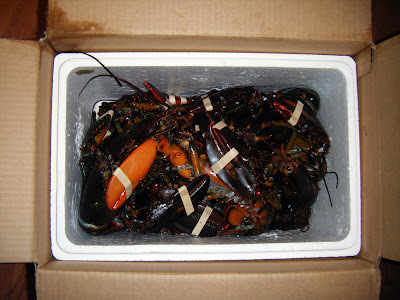 Nor the fact that when enjoyed here in the Pacific Northwest, it has a formidable carbon foot-print: The lobsters below were shipped overnight, via FedEx from my neighbor Leslie’s friendly “lobstahmen” in Maine. Hey Leslie! What’s in the box? Swimming in the Atlantic one day, on a plate in the Pacific Northwest the next. I appreciate my neighbor’s generosity (her annual “Lobstahfests” make life worth living), as well as the fact that while she “summers in Maine,” she’s no snob. I also like knowing — as Safina suggested in the Times — that the Atlantic lobster fisheries are among the “best managed” worldwide. Author Taras Grescoe was called upon to comment for the Times story too. His book “Bottomfeeder: How to Eat Ethically in a World of Vanishing Seafood” is one I highly recommend. 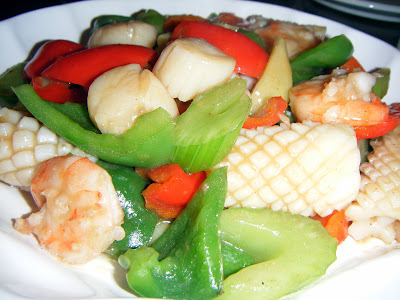 “In spite of what I’ve learned about the parlous state of the world’s oceans recently,” Grescoe writes, “I continue to eat fish — though, admittedly, I’m a lot picker than I used to be.” When it comes to consuming seafood, he advocates grazing from the middle and bottom of the oceanic food chain, feasting on mackerel, sardines or herring rather than on top-of-the-food-chain predators like swordfish or tuna. 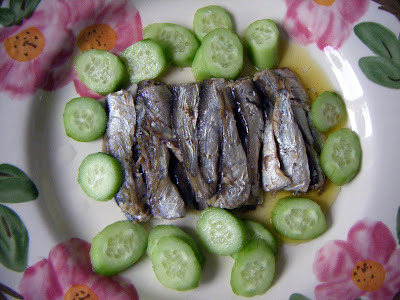 Canned sardines! 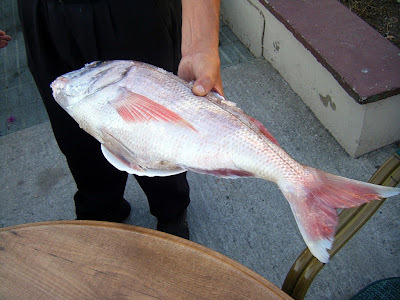 So good, and so good for you — compared to other fish in the sea. 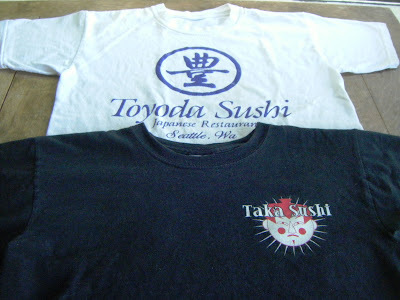 Like Bittman, who writes “It’s improbable that I’ll eat in a perfectly sustainable manner” and finds that he has to keep re-evaluating the ever-changing rules of the seafood-eating game (interpreting the “safe” lists, monitoring which species are overfished and which, once depleted, have made the road back to recovery), I recognize that my seafood-eating habits are far from perfect. As I continue to consider my own impact on the wide world of seafood, I also recognize I’m among the privileged minority able to make my dining decisions based on a steady income and a well-read viewpoint, which makes me exceedingly fortunate. And I encourage all of you to read as much as you can on the subject, including the interesting commentary provided in the New York Times today.